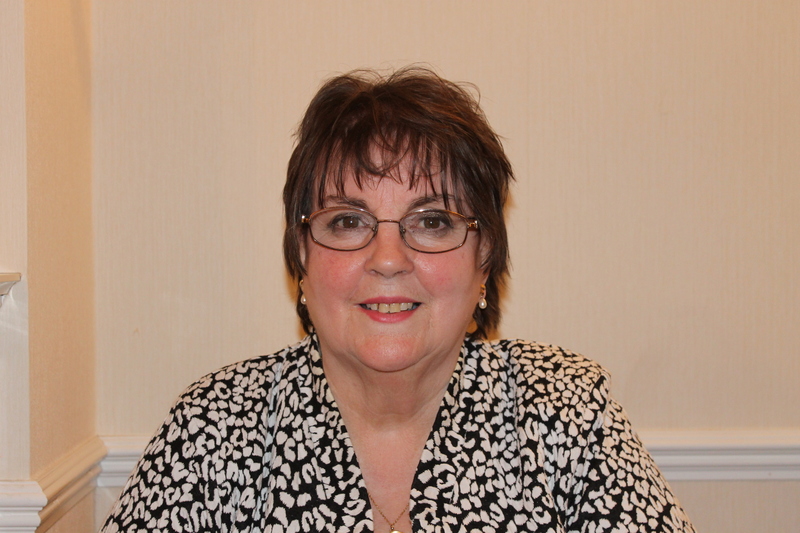 My name is Linda Kendall and I have lived in Rayleigh and district for forty years. A mother of three grown up daughters I have had an eventful life. Widowed whilst in my early thirties, I brought up my daughters as a single mother and now have four grandchildren. With extended family across South East Essex I enjoy being part of a very close family group. I began my working career in the City of London followed by a number of years on the staff of the Ford Motor Company. After the birth of my children I engaged in small business opportunities in franchising to supplement the family budget. I redeveloped run-down properties and spent much time involved in voluntary activities, including some time with the WRVS. My late husband and I eventually became the proprietors of a highly successful international trading company working with nationals across Europe and beyond. Following his untimely death at aged just 36, I was determined that my ‘girls’ would continue to enjoy the comfortable lifestyle all he had worked so hard to provide for them so I continued to run the company for a further eight years. As my family grew up and some left for various adventures of their own, I was face with a dilemma. My younger daughter would have been home alone for much of the time whilst I worked very long days in my London office. I therefore made a decision to dispose of the company and embarked on a long held ambition to return to education gaining an Honours Degree in Law from Anglia Ruskin University. It was tough studying and running a home with so many commitments, but it is an achievement of which I remain very proud. To remain busy I have worked part-time in many areas during my recent years where I have gained knowledge of the many different career paths individuals take. A few years at a local hospital, a short period in retail and other various engagements have given me a very wide experience of the ‘real’ world. My life’s many twists and turns, some good some not so good, have earned me to justifiably claim that the words in the song, ‘ when the going gets tough the tough get going’ could be my motto. I care very much but I can be tough and unyielding when circumstances require. I always stand my ground if I believe in what I am doing. It is this determination that leads me to believe I can serve the people of Rayleigh and Wickford as their representative in Parliament. I think we have been failed due to our political loyalty. Our Member of Parliament has failed to achieve any major upgrade of our basic infrastructure. We have many new housing estates planned that are slowly but surely destroying the market towns we once called home. The ugly blocks of tenement type flats that are being built on every spare corner are not much different to the old inner-city type urban wastelands that many people escaped from London to avoid in the 1950’s and 60’s. Not one word of opposition has been heard from the politicians that have represented us in Westminster concerning this slow but sure urbanisation of our towns. Rayleigh and Hullbridge together have over 40,000 residents paying huge council tax bills yet we don’t even have a swimming pool . Wickford can boast hardly any inward investment from major stores and both towns lack facilities for our young people. At a national level I am fiercely proud of my country and have despaired at many of the appalling decisions that have been taken by successive governments over the past decade. Our many, ill-thought out, military adventures in the Middle East has helped open a tinderbox that has set that region aflame. Our brave servicemen and women have been lions led by donkeys, yet again. Not content with attempting to destroy our international reputation and cultural heritage with their politically correct interference, Westminster is currently attempting to deny us the right to know the truth about their activities by trying to limit the freedom of the press. That MUST not happen. Every scandal you care to name has been exposed via the press and they must not be silenced. It is the one thing that prevents free men being subject to tyranny. I do not want the actions of a group of insignificant, usually minor celebrities, to be an excuse to enforce a limit on our free press. Our country has a proud history and I sincerely believe it is time for ordinary, independent people to stand up and call a halt to the career politicians that have caused so much damage to our nation at home and to our reputation around the world. After being disenfranchised in the 1990’s due to the financial ineptitude of the Major government I thought the emerging UKIP organisation might offer me an opportunity to regain an element of democracy for our nation. Sadly I was disappointed. Although they have attracted some very genuine and good people with sincere hopes for a better type of government the top down ‘little Hilter’antics being displayed by many of those leading that party have made me uneasy. Removing long serving candidates by decree, the recent exposure of fiddling expenses, the suggestion of appointments for sexual favours, the manipulation of candidate selection and the parachuting in of ‘high profile’ candidates has a very familiar ring and I am very glad I distanced myself when I decided to do so. I am worried that many of the UKIP candidates have faced very scant checks on their private lives and former political history. It is time for some Essex plain speaking and common sense to be heard in the corridors of power. I think I might just be the woman to encourage that to happen. After the recent revelations of cover-up and the disgusting activities of some of our representatives we need to restore some of that former pride for which we were once famous. The County of Essex has often been in the vanguard of change and I believe a vote for a true Independent candidate, in this ‘true blue’ safe seat, where we have been taken for granted for far too long, will be the wake-up call many of the dinosaurs in Westminster require. Please do vote. Don’t give up on democracy - don’t say ‘it’s a waste of time, they are all as self- serving and corrupt as each other’. Give me your vote and I won’t let you down. Do this and it will be like an earthquake to those in the corridors of power in Westminster. It is a big thing to ask but if you do, on 7th May 2015 Rayleigh and Wickford will be put right at the front of everyone’s agenda due to the leap of faith you will have shown by rejecting the tribal system of politics that has failed our nation for far too long.